How does the idea of hanging out for an entire weekend with a bunch of women that you don’t really know make you feel? It made me nervous and the easy thing to do would be to respond with a “Sorry, it doesn’t work for me.” I’m an introvert who likes her own space and values control over my own schedule. Would we have to cook together? Play get-to-know-you games? Those activities are not my style. However, I was intrigued by A Little Light’s offering of a retreat with focussed time to work on our creative online spaces and decided to give it a try. Worst case scenario? If I hated it I could leave after one day. 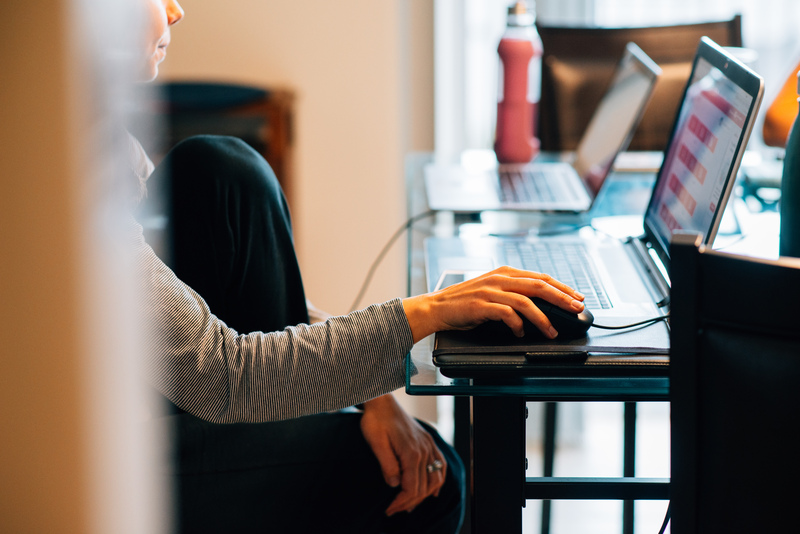 As a mom of four, it’s hard for me to find focussed time to work on my blog. I often feel guilt associated with trying to figure out the online versus real world and the time committed to each. A weekend is quite a luxury as I don’t get away often – I wanted to use that time to my full advantage, would it be worth it? I went into it, with six other women, hoping for time to encourage one another and the time and mental space to get a lot of work done. What happened was a lot more than that. 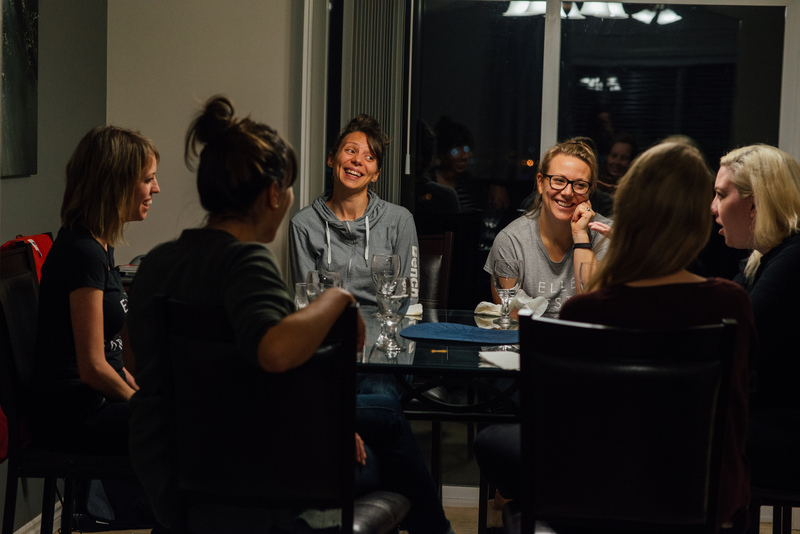 There were practical discussions on Pinterest, Tailwind and podcasts, there was personal growth by finally taking the Enneagram, there were laughs by playing Heads Up! And watching The Office, and there was also the priceless gift of getting to know other Christian women’s hearts in this industry which can often feel isolating. What would I recommend taking if you have the opportunity to attend A Little Light weekend retreat? A list of all that you would like to get done. Personally I found it a bit difficult to work on the actual blog post writing as I usually do that when I’m completely alone but I could make an outline of blog posts I wanted to write, work on pinnable images for my previous posts and get a crash course in Tailwind. All the devices. I liked being able to listen to podcasts on my phone, take photos with my DSLR and work on my computer. Chargers and extension cords are helpful too! It is totally acceptable to tune everyone out while you work. Comfy clothes. I wore my sweat pants the whole time which was encouraged. Besides, we had a chef preparing and presenting our meals which means a stretchy waistband was ideal. Something for “me time”. I took my runners along and went for a run and hike. It felt so good to get some exercise (I’m not good at sitting around) and it gave me space and fresh air to just think and feel rejuvenated. Maybe for you it’s a book or snack or going for a walk with someone, just think about what you might need to feel like your best self. A positive attitude. Be open to what you might take away. It will likely look different than you imagined but the tips, support and mutual understanding are completely worth it! I’m proud of myself for attending as it is quite outside my comfort zone and I’m incredibly thankful for what I’ve taken away. Practically, my unique monthly views have gone up when I implemented just a few suggestions, socially I have made new and stronger real life connections and personally I have seen that I can do things that make me feel uncomfortable and grow from them. Oh, and culinary-wise, I have rediscovered a love for goat cheese with the amazing chef, Katie Sue, that we had hired for the retreat – seriously, beautiful meals that are prepared and served three times a day?! Yes please. If you had the opportunity to attend A Little Light retreat, would you? Sounds fantastic! As a new blogger (less than 2 weeks!) there is so much to learn. As a mom, uninterrupted time is scarce. I’m not super tech-savvy, so I’d love to have someone to ask questions. More info please! When and how often are these weekends offered? Where do they take place? What are the costs involved? P.S. Love the podcasts, so much of it resonated with me! Hi Kristin! 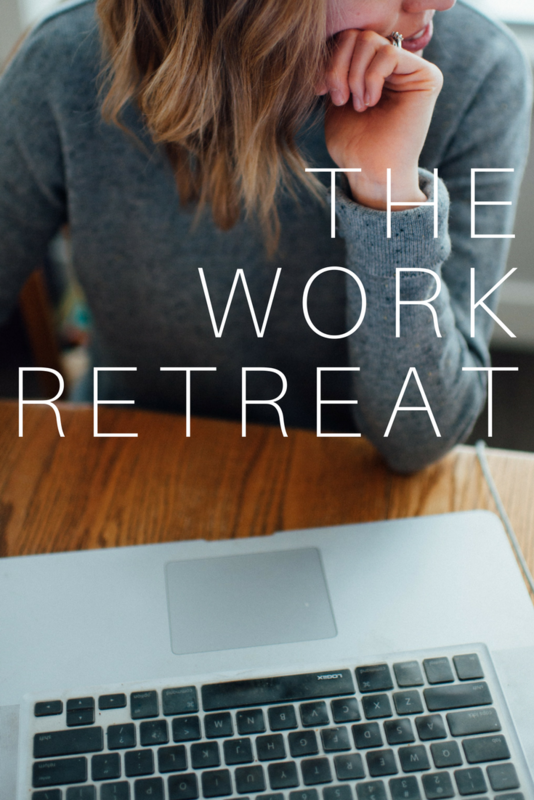 The next Work Retreat dates will be announced very soon — right now, we schedule two work retreats a year in the Fraser Valley. Are you in the Fraser Valley/Greater Vancouver Area?